Often when you film video clips on your phone or camera, they need a little adjustment. Cutting off the start and end, adding music, or maybe adding titles. And you can do all of this easily in Zoner Photo Studio X. Just use the Video tool, which you’ll find in the Create module. First, in Zoner Photo Studio’s Manager module, visit the folder with the photos or video clips that you’ll be using for assembling your video. Then go to the Create module and use the Video tool. This opens a new, blank project, which you’ll use as the foundation for your movie or presentation. Before you start, configure your video project’s basic settings – resolution, number of pictures per second (FPS), and background color. 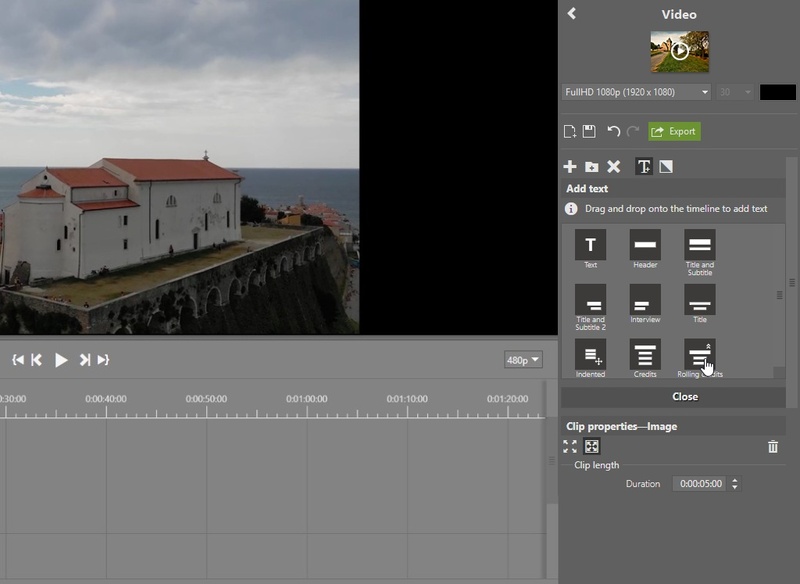 Once you’ve added a video or photos to your project, you can’t change the FPS anymore. The bottom part of the screen shows a “filmstrip” with your individual clips and pictures. Drag and drop them into tracks in the main part of the screen. Don’t forget that Image Tracks are used for videos, photos, or time-lapses, while Audio Tracks are used for music. You can move each item around within a track’s timeline and shift it among tracks. This changes its timing within the final video. To add a track, click the + button. 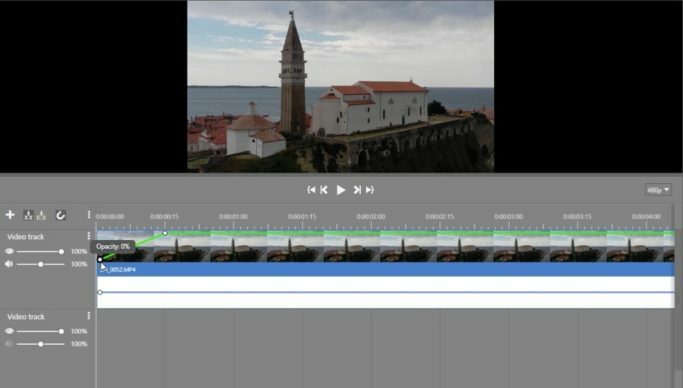 Video editing tracks play a similar role as layers in the Editor do. This means that the higher tracks visually cover lower tracks. You can also set each track’s opacity or volume separately using the sliders in the left part of the main screen. Click the left bracket icon to cut away the whole part to the left of the marked point. This sets a new beginning point for the clip in question. Click the scissors icon to break the clip into two parts in the marked spot. Click the right bracket icon to cut away the whole part to the right of the marked point. This sets a new ending point for the clip in question. These icons work on a whole series of marked clips. Thanks to this, you can easily crop an image and the audio at the same time. When you mark a clip, extended settings for it are shown in the right-side panel. You can use simple effects like Pan&Zoom, for example, to give your photo or video a whole new feel. For example, in a video where you’re zooming in on some kind of object, you’ll get an interesting perspective effect by turning on Zoom Out. The result after applying the Pan&Zoom effect to the video. You can also use the Pan&Zoom effect to spice up a time-lapse. All of the options here are good candidates for this kind of clip. It’s all up to what suits you best. You can also add text to your video in Zoner Photo Studio X. Just click the Add Text icon, choose one of the ready-made templates, and drag it into the clip. This is a good way to create a video’s ending credits, for example. It takes just three steps. Add a new image track and choose an appropriate title template. In this case, the template for animated ending credits. Drag the template into the new track and move it to the point in the timeline where you want the credits to appear—that is, drag it to the end of the video. In the right panel you’ll then see extended text editing settings. Use them to set the duration, etc. for the titles and enter the text you want. Enter the text using the two text fields at the end of the list of edits in the right panel. For the Heading, choose e.g. the name of the video—perhaps Vacation 2018. In the Text field, you can e.g. write the names of the people who went with you on the vacation. For both the heading and the text, you can set the font and size and use bold text, italics, etc. Once you’ve got your video assembled, add transition effects to it by clicking the Add Transition Effect option. You’ll find it next to the button for adding text. Then just select the effect you want from the right panel and drag it between the clips in the image track. Keep in mind that transition effects can only be added between a pair of tracks that are right next to each other. The effect is marked in green in the image track. To edit the transition effect, click it and then use the right panel to set its length and/or style. 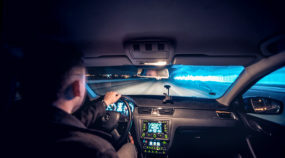 Tip: If one of the two clips that you’re applying the transition effect to is a video, the start or end of the video (depending on where you put the effect) should be cropped away. Otherwise the video can end up feeling lifeless. 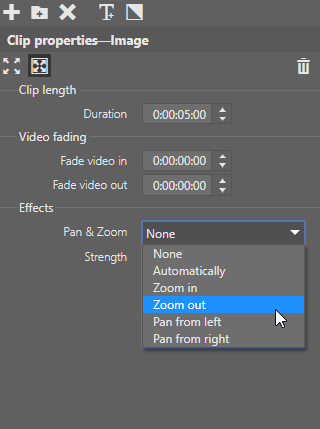 To add a traditional fade-in at the start or fade-out at the end, use the fading options in the right panel. They’re in the right column in the Clip Settings. You can also adjust the strength level (the volume or opacity) for any track. To turn these on, use the menu on the left next to the timeline. Turn on Show levels. Then just click on a clip or an image in one of the tracks. A green line (or blue for sound) is shown next to it. Click it to add a new point. Drag that point lower or higher to set the effect strength (the opacity or volume). Drag the point left or right to adjust the length of the effect. Double-click the point to remove it. 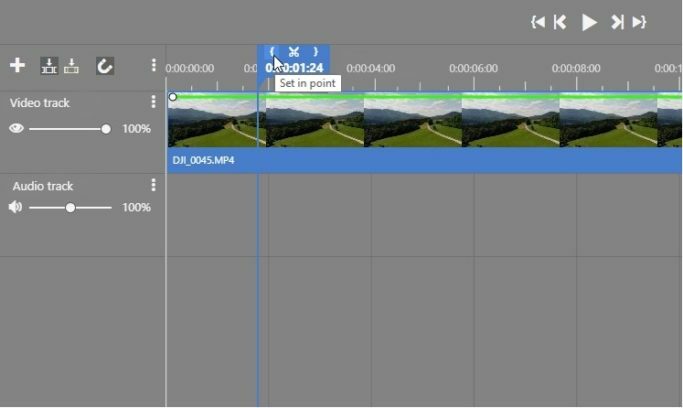 Once you’re satisfied with your video, click the Export button, choose a saving location, and save the video. And then all that’s left is to share the video with your friends. Try out video editing in Zoner Photo Studio X on your own photos and video clips. Download it and try it free for 30 days and get started with video editing. You’ll see for yourself how easy it is to create your own video.